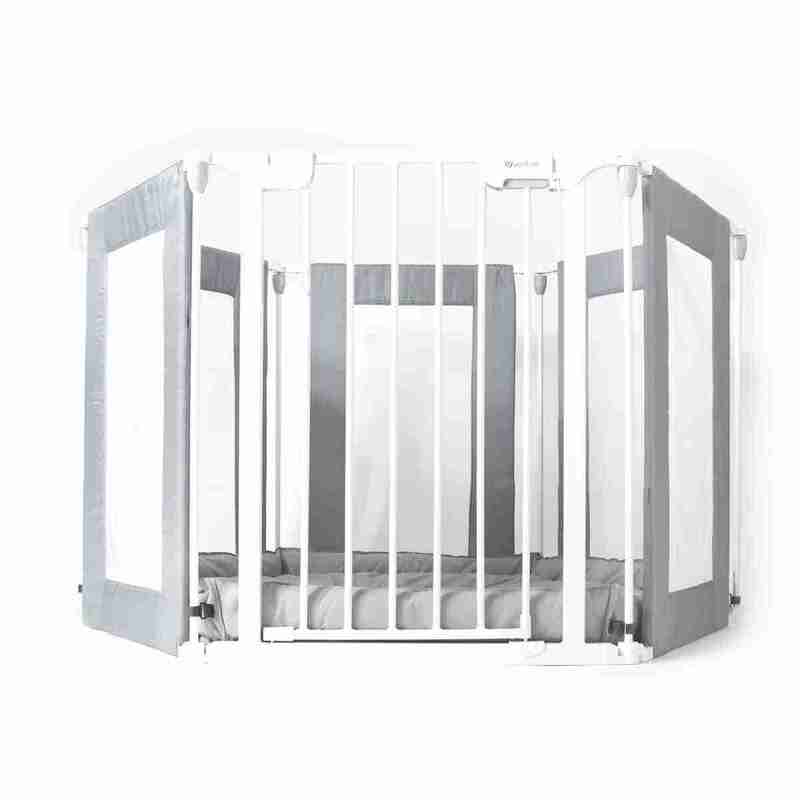 The All Stars HEX?s 3 in 1 design means it can be used as a playpen, room divider or safety gate. Constructed from durable, high quality materials. Size and shape can be altered to suite your space. 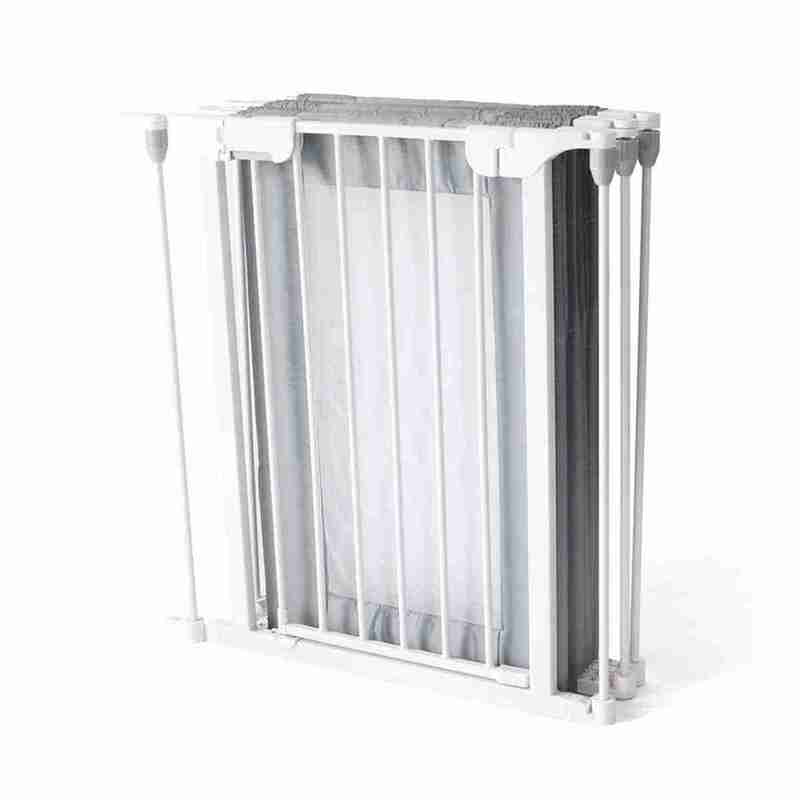 Fully conforms to British Safety Standard BSEN1227:2010. Concertina folding makes storage easy. Everything you need in a playpen. 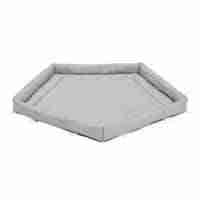 It’s pretty large so your baby will be comfortable in it, and the mats are nice and soft for when they fall. Very happy with it! My little one loves this, it?s the only place he will lie and drift on to sleep on his own. Definitely really this ?? And super fast delivery!! 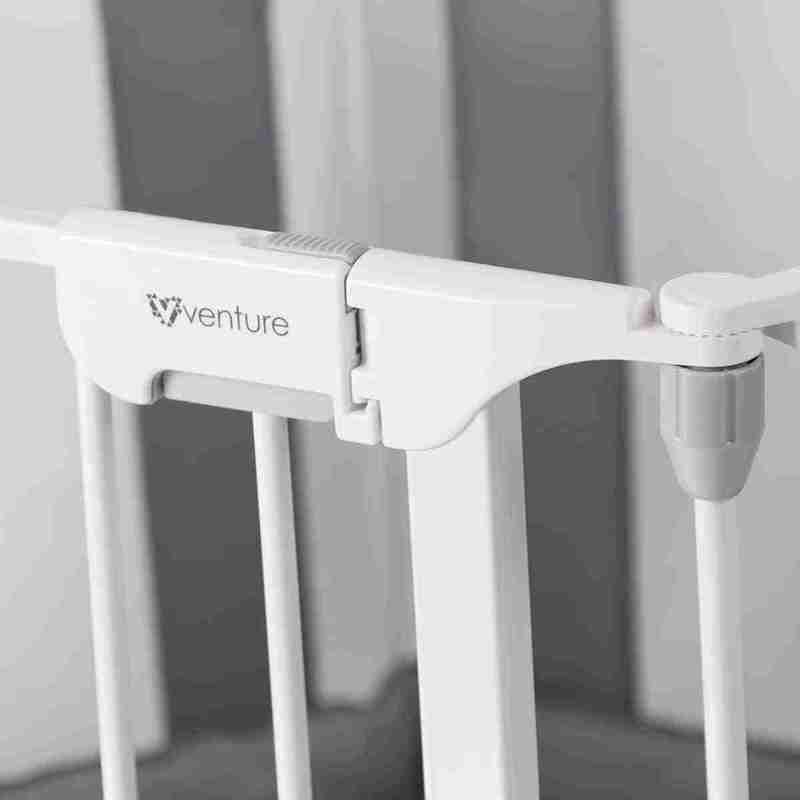 Looks great and solves the problem of dog versus baby (feel sorry for the dog)! Little tricky to push in the things to fold it up but I’m sure we will get used to it once we have done it a few times. really sturdy yet attractive. Great product, particularly like the soft floor mat and so versatile. 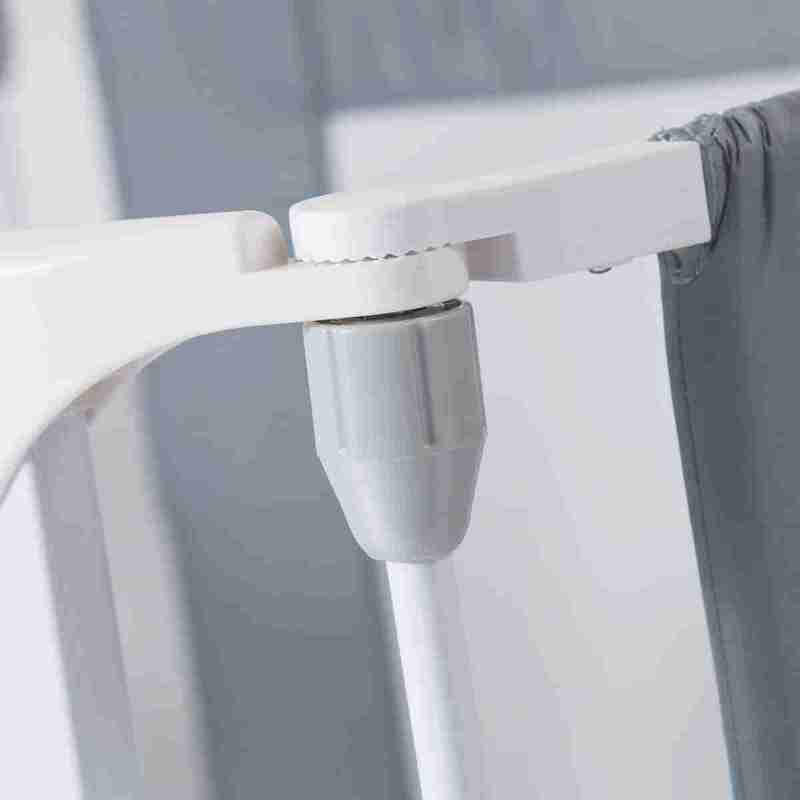 The product is a very good item and easy to put up. Great product, easy to put up and take down/store. Easy to assemble. We bought 2 to create a larger space and there was no problem interchanging the panels. Works wonders for my child. Best thing i ever brought would highly recommend. Really pleased with this item the quality is very good. Easy to put up and has a nice playmat inside that washes well. My 14 month old loves to sit inside with all her toys. We are really happy with this, it?s easy to put together and portable. Our little one can now play safely when we are cooking the dinner etc. Really recommend. Looked at several models but settled on this one for quality. Sturdy, safe construction, easy to put up. We wanted something we could put away when not inuse, and this works for that, even though it’s not easy to fold up completely as it was in the box. We can still manage to fold it compactly enough to stand behind a door when not in use. The padded mat is the best I’ve seen compared with other playpens although it’s also not that easy to attach and detach. All in all, very happy with the quality of this item. This is a sturdy playpen with room to move and grow into. My 11 month grandson is happy to play with his toys in it. He hasn’t yet worked out how to open the gate but thinks pushing hard might do it – we’ll see! (doors are a fascination for him at the moment). I put a padded mat underneath it on my kitchen floor because the cushion is not very deep but if it is situated on carpet it would be fine as-is. Perfect. Very versatile in shape just as advertised and the construction is of good quality. Not much more I want from a baby product! Super easy to fold and unfold. Very sturdy, nicely made. Very modular so it is possible to reduce the size or change the shape of the playpen to adapt to the room. Very happy with the purchase. I got this product so my 6 month old daughter can play and discover without getting into mischief if left for a few minutes. Plenty space for her to practice crawling and play safely. The floor is soft and padded. I like that we can use it as a room divider in future. Very easy set up and easy to fold up and put out of the way or take to the grandparents. Really pleased with this playpen. It’s very versatile with how you can use it. The mat that comes with it is pretty good. It’s also a good length when using it to section off part of a room. Really pleased with the play pen, easy to set up, minimal assembly, and easily folded away for storage, lots of room when assembled, well made and good quality. 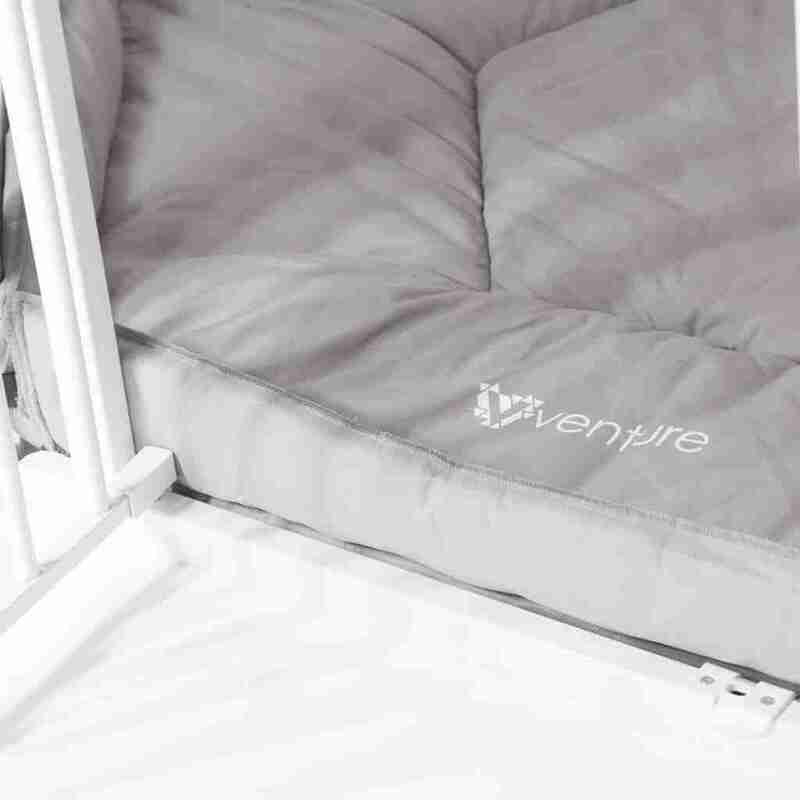 Very nice playpen, good quality. We like it very much. 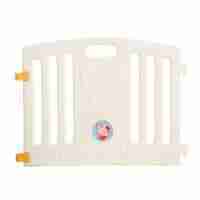 Compact, easily packed away and multi function use, great equipment to keep toddler safe when need to do something else. Item arrived on time, and well packaged. Bought as a gift, but baby seems very happy in it, and his mum can leave him for short periods knowing he is quite safe. Can also be used as gate. Very happy with purchase. Perfect for my 9 month old Granddaughter. We put okay balls into it to keep her occupied! Really pleased with this item it is perfect for what we wanted….read another review on here about the cushion being useless but that is not the case, if it was any more padded baby wouldnt be so stable when trying to stand. Delivery was really quick too, ordered it with super saver delivery and got it next day! If you’re looking for more than a playpen the All Stars HEX is for you. 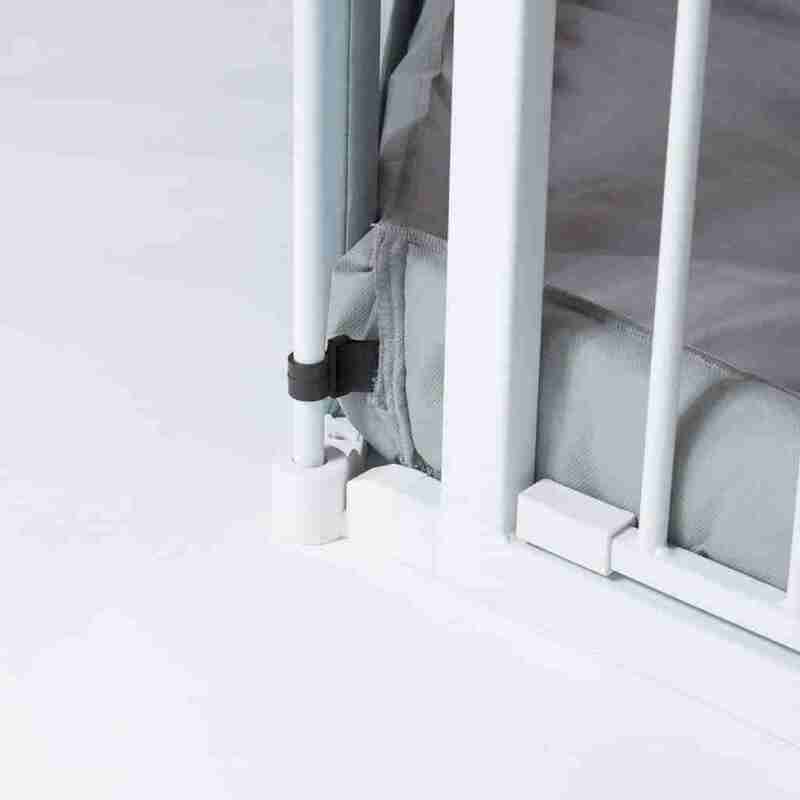 It’s innovative design means it can be become so much more than a playpen. You need a safety gate? Simply remove the gate panel and used the provided fixings to secure it to the wall when you need it. Need to divide a room? 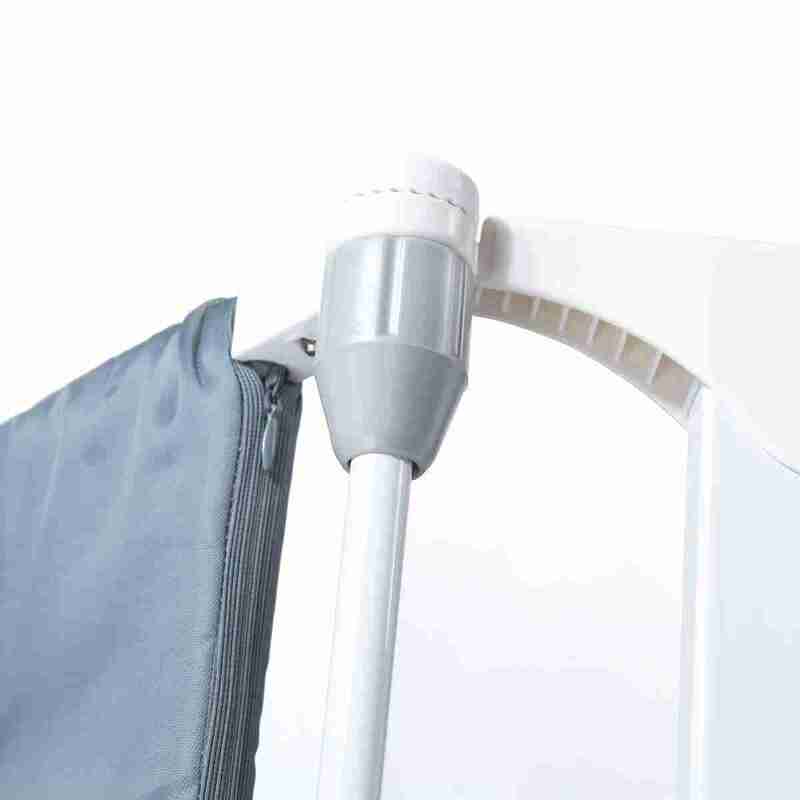 Simply unattach one side of one of the panels, unfold the playpen to suit your space and fix to the wall. 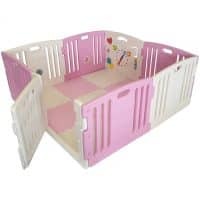 Some playpens are made to be solid on all sides which is great in some ways, however it does mean that you have to climb or reach into the playpen an awful lot. Which raises the question, why not add a gate? So we did, our secure lock child safety gate provides you with all the security of a playpen without the need to scale it everytime you want to get to your child. 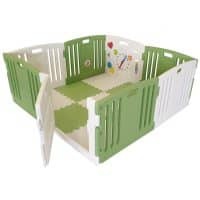 Tired of storing away bulky playpens? 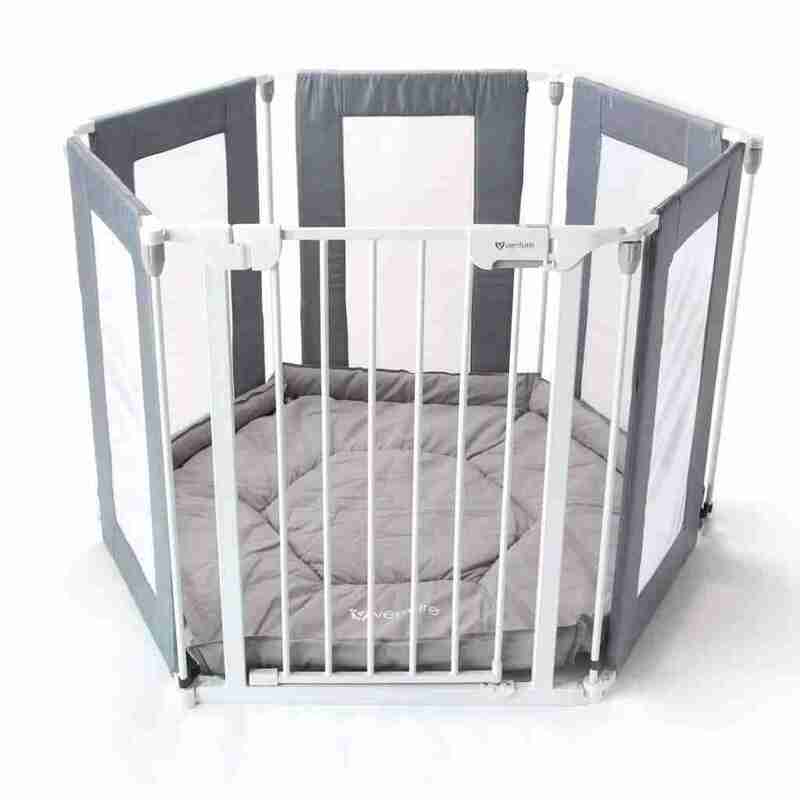 Baby playpens can be quite bulky making them hard to store away, the All Stars HEX solves this. It has a clever concertina folding mechanism that means when playtimes over, you can simply untighten the tightening clips and fold the entire playpen! Creating an easy to pack away stack that’ll fit into most knooks and crannies.